Perspex Light Catcher Workshop with Susan Walsh. 2x 1.5 hour workshops at 10-11.30am & 12.15-1.45pm. 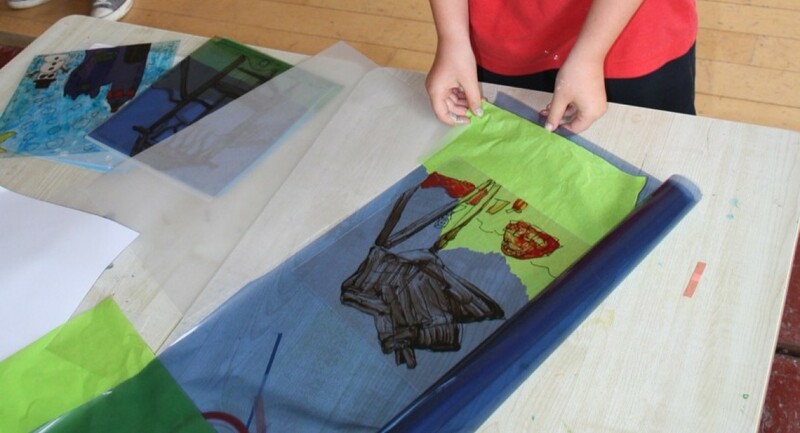 Join artist Susan Walsh in this collaborative parent and child perspex light catcher workshop. Use glass paints, alcohol inks and light permeable materials to create your own stained glass effect piece that can be hung in a window to reflect and refract sunlight. €5 per person (child/adult) - pay on arrival, advance booking advised. Email info@siriusartscentre.ie with the subject heading ‘Perspex Light Catcher Workshop’. Suitable for children 6+.